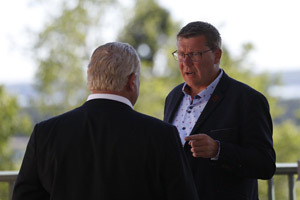 Premiers direct provincial and territorial finance ministers to update their work on options to expand the CPP/QPP and report to Premiers at the 2016 summer meeting of Canada’s Premiers. identify needs for community programs and services including housing, school enrolment and specialized programs for vulnerable groups. Premiers call on the federal government to work with provinces and territories to ensure that governments have the reliable, high quality statistics they need to make good policy and program decisions to help meet the needs of all Canadians. In addition, an independent dispute settlement mechanism should be established to deal with technical issues concerning data quality. Court-ordered child and spousal support payments are essential to families who rely on them. These payments often go into arrears when a payor lives in a different province or territory than the recipient(s). 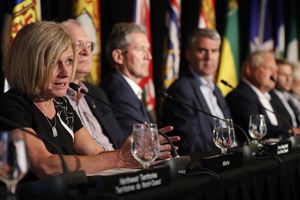 Premiers are directing their Ministers of Justice to explore ways to improve policies and processes which will lead to more payments being received – no matter where the payor lives in Canada. This work is to be completed by January 2016. Housing plays a critical role in the overall well-being of citizens and in the success of the Canadian economy. 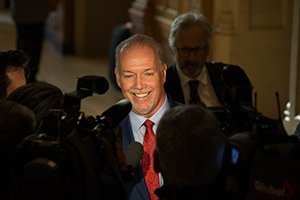 As part of their efforts to put in place the right conditions to stimulate economic growth and productivity, Premiers discussed the short- and long-term benefits for low income families, Aboriginal people and seniors to have access to secure and affordable housing. Public investments in housing also contribute to invigorating the construction and renovation sector, thus creating jobs for workers in many parts of Canada. Federal funding for social housing is set to decline over the coming years thereby generating significant savings for the federal government. 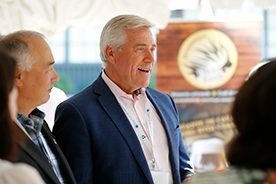 Premiers recognize the important role that the federal government plays in contributing to funding and supporting social housing initiatives. 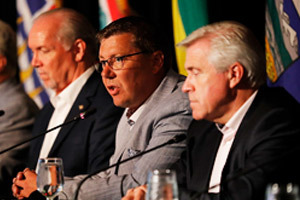 Premiers call on the federal government to work with them to reinvest some of its savings in the form of sustained, adequate and flexible funding for housing to provinces and territories.